Commander John D. Lasswell is a native of Maryland. He graduated from the United States Naval Academy with a Bachelor of Science degree and was commissioned an Ensign in June 1967. His first assignment was to the Naval Post Graduate School at Monterey, California where he earned a Master of Science Degree in Applied Mathematics. Immediately following this tour, he was assigned to the USS CHEVALIER (DD-805) as Main Propulsion Assistant. After attending the Naval Destroyer School, he reported to USS JOHN KING (DDG-3) as Engineer Officer. Commander Lasswell then taught Mathematics at the U.S. Naval Academy from January 1972 to December 1975. Main Propulsion Assistant on USS AMERICA (CV-66) was his next duty assignment. Following this tour, he served as a member of the Commander in Chief, U.S. Atlantic Fleet, Propulsion Examining Board. He then served as Executive Officer of USS DULUTH (LPD-6). Upon relief as Executive Officer, he reported to the staff of Commander Naval Surface Force, U.S. Pacific Fleet in San Diego as the coordinator of Force Engineering Readiness and Training. 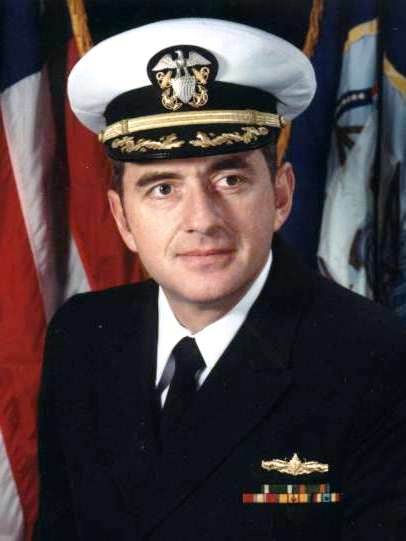 Commander Lasswell's awards include the Navy Commendation Medal, Navy Achievement Medal, the National Defense Service Medal, Vietnam Service Medal and the Sea Service Ribbon. He is married to the former Elizabeth Allen of Rancho Santa Fe California. They have one daughter, Elizabeth.